Webbing clothes moths (Tineola bisselliella) and casemaking clothes moths (Tinea pellionella) are serious pests of retail, distribution and self-storage sites, to name a few. To help pest management professionals actively monitor for these two important, yet often overlooked pests, Trécé offers the StorGard Quick-Change WCM+CMCM Combi Kit. 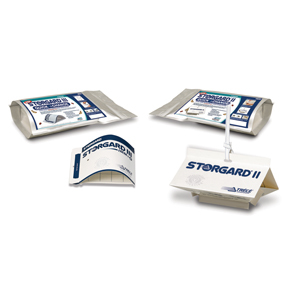 The kit is available with StorGard II or StorGard III adhesive traps, and have the Combination lure pre-installed (six per kit). Trécé has combined the quality pheromones for the webbing and casemaking clothes moths to enhance the ability to monitor both pests without the excessive cost of stocking two different items in inventory — and virtually zero labor in the field.